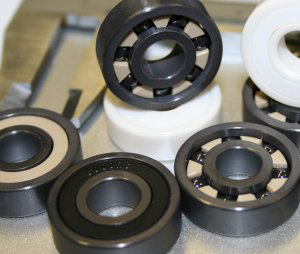 1) Ceramic bearings have excellence performance as special electrical and magnetism resistance, anti-corrosion, self-lubrication and maintenance, low noise, higher load capacity, high/low temperature resistance etc. 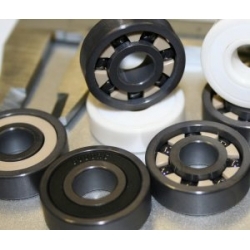 The rings and balls made of full ceramic material: ZrO2, Si3N4 and Sic as a standard structure, the cage made of PTFE, GFRPA66-25, PEEK, PI, AISI US304, SUS316, Cu, etc. 3) Ceramic balls: all kinds of ceramic balls with the precision from G5 to G200, made of the material ZrO2, Si3N4, SiC and Al2O3 etc. 4) Application: auto manufacturing, driving equipments and engine industrial, chemistry industrial, medical industrial and food processing equipments industrial and so on.